Registration is available at Packet Pickup Thursday Dec. 14 12 noon to 6:30 PM or Friday Dec. 15 10 AM to 6:30 PM 3619 Byers Ave!!!! Run thru scenic Trinity Park. Looking for something for your recovery from early marathon season or starting to build for first of the year marathon season. Full Overall and Age Group Awards. Long sleeve cotton shirts for all pre registered runners/walkers. Female Cut Shirts available to pre registered participants. No Female Cut Shirts available race morning!!! Race is December 16 both the 5K/10K start at 8:00 A.M. USATF certified courses mostly flat. Pre Race Packet Pickup at Polansky Race Mangement, 3619 Byers Ave., 76107 Thursday Dec. 14 Noon to 6:30PM and Friday Dec. 15, 10:00 A.M. to 6:30 P.M. Race Day Packet Pickup starts at 6:30 A.M. at Pavilion #3, Trinity Park Dr. and River Dr. 2401 S. University is main entrance to park, stay left and three small parking lots are available or curb side. Street side parking on Crestline or turn left at stop sign, turn right on Cedar Elm, turn right on River Dr. curb side parking available. Also, from Crestline a cul de sac right turn at stop sign has opened up for parking. Team Regisgtration Details: Team Captain Creates Teams, Registers themselves, invites others to join the Team. Each Member pays their registration fee, $5 discount. We ask that at least 5 people register for Team. If that number isn't met, remaining fee will be collected at Packet Pickup. Adult and Female Double X shirts add $3 to your registration! 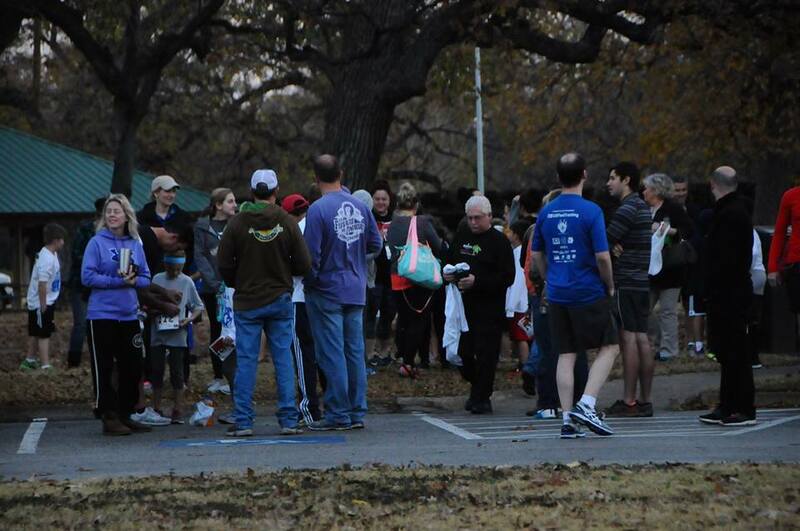 December 14-16 Timed 5K is $35, No UnTimed 5K registration will be availbale. December 14-16 10K $45. Online registration closes 12/15 @ 3pm.